About three dozen chickens and roosters that somehow got loose near Northwest Lovejoy Court and Station Way available for adoption. 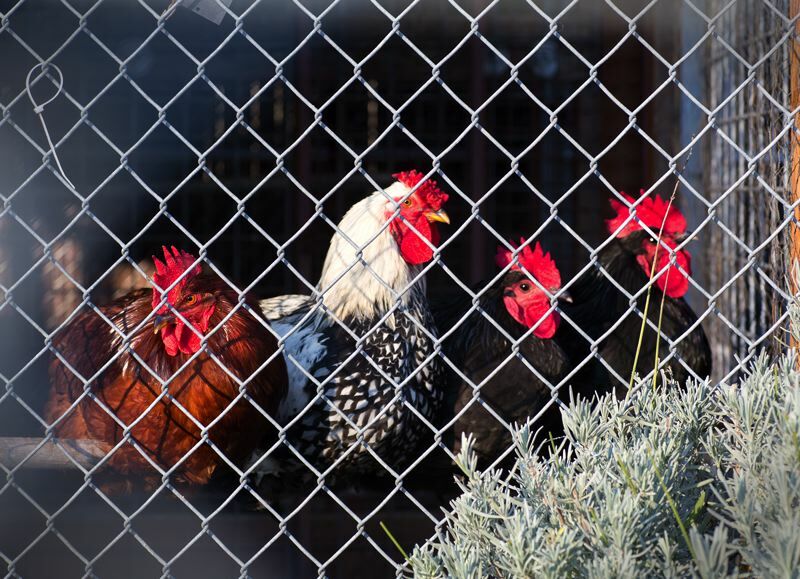 That flock of fowl that ran wild through the Pearl District in early November could find new homes. Multnomah County Animal Services said Thursday, Nov. 8, that about three dozen chickens and roosters that somehow got loose near Northwest Lovejoy Court and Station Way at about 6 p.m. Nov. 3 would be available for adoption at the Animal Services' Troutdale Shelter, 1700 W. Historic Columbia River Highway. County officials said the roosters "are young (without spurs), friendly to handle and cohabitate really well." Portland police found the roosters running in a gaggle zig-zag fashion through streets. Officers corralled the flock and set up a "dry roost" for the night with the help of Oregon State Police's Fish and Wildlife Division. County Animal Services added the fowl to its online database of missing pets. No owner came forward, so the birds have been listed for adoption. For adoption information, check online at www.multcopets.org.